What do you do if your socialist theme park gets flash-mobbed by right-wing trolls disguised as fairies? Now that the Real Danton has stood up, he can let it all hang out. I've been sleeping fitfully lately. One night as I nodded off, I was seized with the vision that my real life had always been virtual, and that only my Second Life was real. The following morning I awoke out of a frightful nightmare, in which an army of cyborgs was trying to destroy Neufreistadt and the Confederation of Democratic Sims. The term "socialist theme park" is a pearl from Prokofy Neva, who dropped it into a discussion dealing with the conflict between Ulrika Zugzwang and the democratically-elected Neualternberg usurpers. When I find time I will study this whole story in greater depth, but it does seem that Neualternberg and its successor Neufreistadt were originally of leftist inspiration. In more recent ages (that is, over about the past year or two), the Confederation of Democratic Sims (CDS) has opened up to a wider population. This is only natural for a democratic country. Any true democracy will have a left, a right and a center, and the litmus test is to see what happens when the elections replace a leftist government by a rightist one, or vice-versa. So the label "socialist" no longer applies to CDS as a whole, and should be reserved for parties such as the Citizen's Social-Democratic Faction, which is just one among the four active political parties. 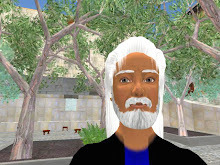 But I've already expressed the opinion that Second Life is a mirror of reality. This potential of the virtual world to model, perchance to influence, the real world has undoubtedly struck others as well. So let us take that intuition a step further, and imagine a worst-case scenario. What if a hidden group of right-wing Second Lifers decided that CDS was a hot-bed of subversive ideology that should be smothered, and systematically set about to flash-mob the fledgling democracy, buying hundreds of tiny plots in order to elect an overwhelmingly rightist government? 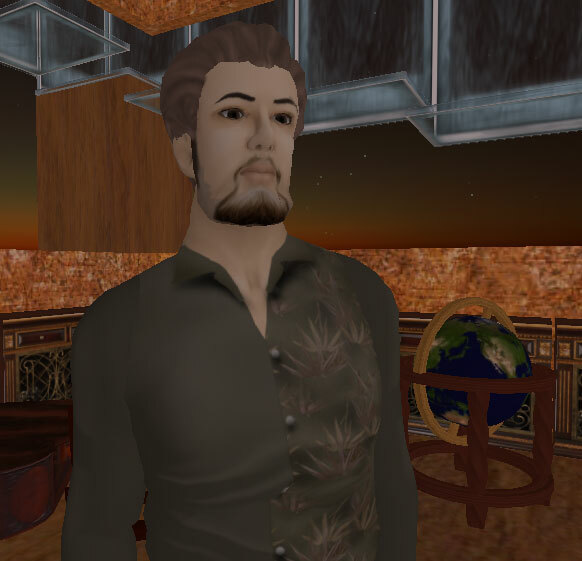 In such a case, the progressive group that had built the sims in the first place, and whose avatars actually spent most of their time there, would find themselves dispossessed by a mob of hostile strangers who only stopped by to vote, before teleporting back to their virtual condominiums. Be at ease, gentle reader. The Real Danton has been assailed by a paranoid fantasy. But remember the title of Andy Grove's book: Only The Paranoid Survive. Looking ahead to the merely possible cataclysm, I have come up with a proposal for preventive measures to protect the progressive element within this fragile experiment in virtual democracy. One is tempted to look for solutions in various mechanical devices that might limit the country's "mobbability." One could try to set stringent barriers to citizenship (as do real world countries). One could implement identity verification in order to limit election fraud (this has been discussed on the CDS forum). I think that such measures are important, in order to guarantee that CDS functions as a true democracy. But they fail to reach the core issue. The central question from my personal point of view is how to maintain a leftist enclave in the midst of this burgeoning democracy. We leftists must let the democratic majority go its own way. If CDS truly succeeds as a democracy, the little group of leftists will be swept aside, submerged beneath waves of avatars of all political tendancies, averaging out to a middle-of-the-road common denominator. But those whose political vision extends beyond formal political democracy to the active promotion of a more just society should still somehow band together. Doing so simply as a minority party of quixotic leftists squeezed to the edges of a consensual crowd that supports the status-quo hardly seems satisfactory. What I propose is the creation of an explicitly leftist sim, which would take its place within a highly decentralised Confederation of Democratic Sims. In other words, let us create our own leftist city-state, with an explicitly leftist constitution and government, and simultaneously change the CDS constitution to a truly federal model. Each democratic sim would thus become a separate mini-state, with its own local government, and would send elected representatives to the central CDS government. One could imagine that the right-wingers would create their own city-state, the center-of-the-roaders would create theirs, and the Federal Government would become a free-for-all where everyone argues wildly about everything all of the time (and more reasonably about some of the things some of the time). In real life such a geographical separation of the political clans is unthinkable, but in virtual reality it somehow seems to make a lot of sense. This is another illustration of the difference between real life and virtual life, as is the fundamental lack of exchangeability between real money and virtual money. To tell the truth, I find these clear dividing lines between the real and the virtual to be rather comforting. Of course, if this proposal for a politically-oriented sim did find supporters, the battle would probably then be fought over whether or how to modify the existing CDS constitution in order to allow a more decentralised federal structure. In the last resort, if no agreement were reached on changing the constitution to a truly federal model, the leftist group would have to go off and create its own little island by itself. But that would be unfortunate, because it would diminish the Confederation of Democratic Sims, and remove from it one part of the full democratic spectrum of opinion. Do you think that a drift to the centre is inevitable in the CDS? The Social Democrats are the strongest political force in the CDS currently (in that we have a wide membership of old and new citizens, we're active in many parts of the community as well as government and we did very well at the last election). It will be interesting to see the outcome of the election currently underway after a term as the largest party. I think I went too far with this post. I tried to take it off-line, but apparently the only possibility on Blogger is to simply delete it - and Patroklus has already made a comment. As I keep saying, I'm new at this. I make newbie mistakes like getting negative about everything and launching potential flame-wars. What do you think, should I just delete this troublesome post and replace it with something more positive and consensual? I don't think you should ever delete posts, unless of course you'd like to play into the stereotypes about the hard left. I don't think you need to go out and create a leftist city -- you have one already. It *is* leftist precisely because the land is not for sale on the open market. The hysteria about right-wing plotters or griefers scurrying to buy up plots is completely misplaced. If you have decent prices, and a covenant, it's not likely to happen. And frankly, when I opened up Ravenglass to the general public for sale, everyone laughed at me and said the same thing, that I would be gried and flash-mobbed by land barons, etc. And I wasn't. The amazing thing is that a collection of people with nothing in common as to lifestyle, geography, class, taste, etc. came together in the first and second rounds and just lived there because the land dealer was trying to organize the development, keep a wood commons, and hold the view on surruonding sims with purchases. And people value that. In the same way, they would value an open government sim, but the Frieswiththat gang have always been too fearful to really democratize the sim, because of this idea that evil right-wing capitalists will buy it all up. And no fair saying that because Ashcroft, who is some kind of Conservative in the UK, was holding court there for awhile, that it was "left to right". The range there is more like from A to B.